When you have more than one person using the same keys, it may get pretty hectic. If you have roommates for instance and you don’t have enough copies. Some people have to wait for the others to arrive to open for them. This is a big inconvenience. That is why there is need for duplication. You may also want to duplicate your car keys for precaution purposes. Maybe you just want to get a spare key for your safe just to be on the safe side. There are so many reasons to get your keys duplicated. You can get key duplication services pretty much everywhere. You would even get confused on whom to use. It’s a pretty straight forward decision though; you just have to find the best. The kind of keys will matter. Safe keys are especially complex. You keys may also be electronic. This is something that you will have to ask the locksmith duplicating them. You will obviously be charged differently for different types of keys. In any cases, duplication is cheaper than getting new locks or asking for a copy from your dealer. When you have more than one copy of keys, you are at an advantage. You won’t have to worry about locking yourself out. You even have a replacement for when one copy gets too worn out. Either way, keys duplication benefits you greatly. This is why you have to find the right person for it. 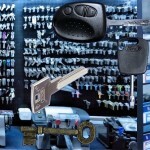 Port Locksmiths is a locksmith service that provides key duplication services. You can get any sort of keys duplicated. If you need to replace your transponder keys, we can do that for you. We can even make you a key without one to copy from. We do this by cutting a key using the lock. So, you don’t have to stress if you don’t have a copy. You can get your keys duplicated in the shortest amount of time. You can even wait for it. This is very convenient for people who have busy schedules. Whether it’s for your residential building or commercial one, you can your keys duplicated with us. When you need to get keys for several people, we can do that for you. There is no reason why people should have to wait for others to get into the office. Giving everyone their own key saves a lot of time. Port Locksmiths can provide you with adequate information. This is the service you have been looking for to get those keys duplicated.